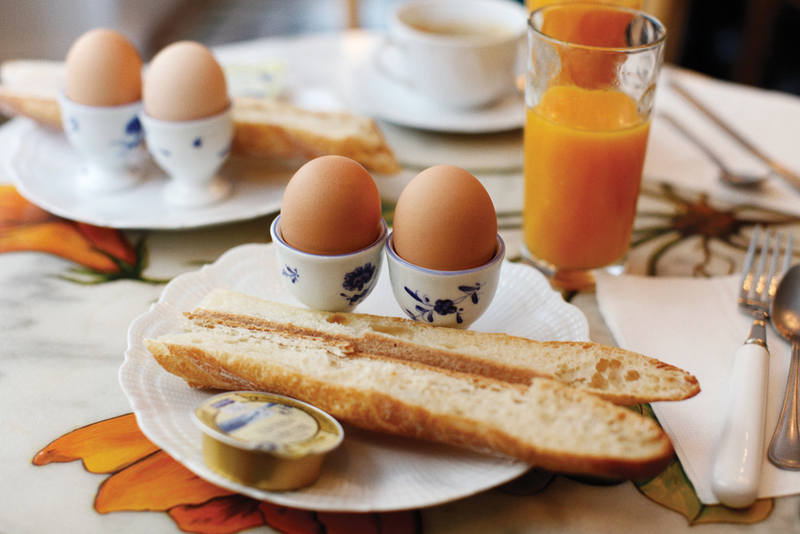 The best kind of breakfast in Paris, at Hôtel du Temps. We like to make this at home, but for some reason this is always so much better in Paris. In the summer, add a little heirloom tomatoes.